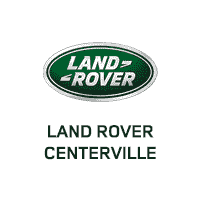 We have a strong and committed staff with over 250 plus combined years of Land Rover experience satisfying our customers' needs. We Bleed Green!Feel free to browse our inventory online, request more information about vehicles, set up a test drive or inquire about financing!If you don't see what you are looking for, click on CarFinder, fill out the form, and we will let you know when vehicles arrive that match your search! Or if you would rather discuss your options with our friendly Sales Guides, don't hesitate to call 801-298-5300 or visit us in Centerville, Exit 319.We look forward to serving you! This Discovery Sport is an HSE model. It is Indus Silver with Ebony Grained Leather interior. It is equipped with the following packages: Protection Package, Wheel Lock Frame, Perimetric and Volumetric Protection, Climate Comfort Pack, Vision Assist Pack, Heads Up Display, Black Pack Contrast Roof 20'' Wheel, InControl Wi-Fi, InControl Apps, Driver Assist Plus Pack, Audio Option PackPlease call 801-903-4500 to confirm that we have the vehicle in stock. Thanks for looking! 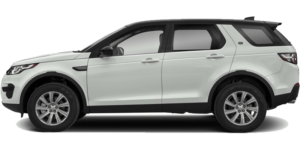 This Discovery Sport is an HSE model. It is Corris Grey with Ebony Grained Leather interior. It is equipped with the following packages: Driver Assist Plus Pack, Park Assist, InControl Apps, 19'' Style 2, Vision Assist Pack, Climate Comfort Pack, 3rd Row Package, Protection PackagePlease call 801-903-4500 to confirm that we have the vehicle in stock. Thanks for looking! 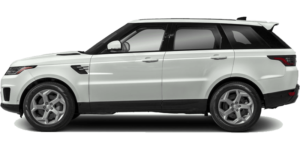 The Range Rover Evoque is available in Five-door and Convertible body styles. 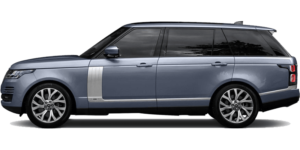 These body styles include six models: the SE, SE Premium, Landmark Edition, HSE, HSE Dynamic and Autobiography. The Convertible is available in SE Dynamic and HSE Dynamic models featuring an Ebony fabric Z-folding Convertible Roof System.You can choose from two Land Rover InControl infotainment systems: Touch or Touch Pro. Touch Pro is our next-generation system that advances connectivity and entertainment in the Range Rover Evoque to the highest level. InControl can make life easier: find a parking space, stream music or track a stolen vehicle.Twin-needle stitched leather and a choice of aluminum and wood veneers are offered to help create your ideal space. Climate seats are available for the front and enhanced Mood Lighting sets the right tone. 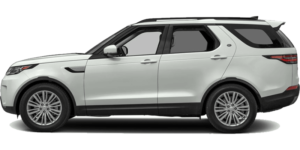 This Discovery Sport is an HSE model. It is Kaikoura Stone with Almond Grained Leather interior. It is equipped with the following packages: Protection Package, Wheel Lock Frame, Perimetric and Volumetric Protection, Climate Comfort Pack, Configurable Ambient Lighting, Vision Assist Pack, Heads Up Display, 19'' Style 2, InControl Wi-Fi, InControl Apps, Driver Assist Plus Pack, Audio Option PackPlease call 801-903-4500 to confirm that we have the vehicle in stock. Thanks for looking! 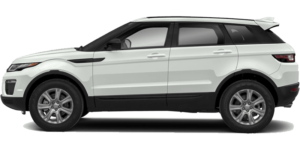 This Discovery Sport is an HSE model. It is Fuji White with Ebony Windsor Sport Leather interior. It is equipped with the following packages: Intelligent Dynamic pack, Driver Assist Plus Pack, H.D. Radio, InControl Apps, in vehicle Wi-Fi, Ebony Headlining, Vision Assist Pack, Adaptive Cruise Control, Cold Climate Pack, and a Black Painted Roof.Please call 801-903-4500 to confirm that we have the vehicle in stock. Thanks for looking! 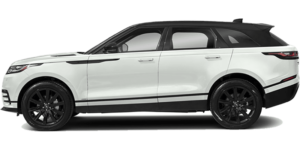 This 2019 Evoque 5 Door HSE is Fuji White with Ebony / Ebony Oxford interior. The vehicle includes Premium Interior Protection & Storage Pack, Smart Phone Pack, Rear Seat Convenience Pack, Car Care Kit, Driver Assistance Package, Black Contrast Roof, Luxury Seating Package, 20'' 5 Split Spoke Sparkle Finish Alloy Wheel, and Sirius XM Satellite Radio & HD Radio. Price includes $1,500 VIP Pkg (Clear Tex, Paint Guard, Leather Guard, Fiber Guard, Loaner Vehicle within a 50 mile radius)For more information please contact our dealership. You can call 801-903-4500 or visit us at 155 S Frontage Road in Centerville, Utah and a sales representative will be happy to assist you.